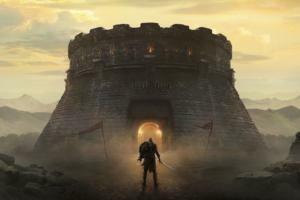 There was plenty to talk about Monday at the Worldwide Developers Conference. 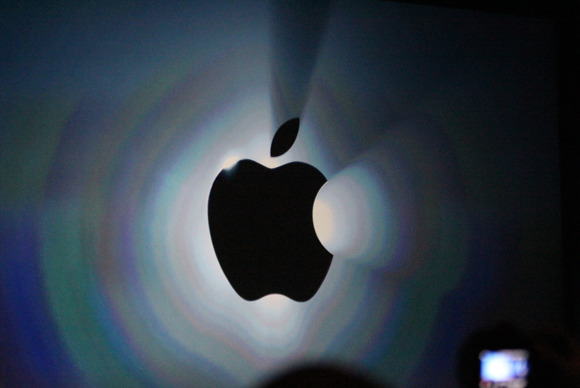 Here's a sampling of what Apple had to show off. 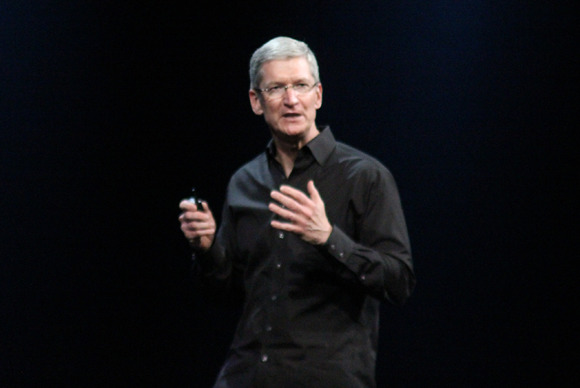 An energized Tim Cook took the stage at Apple's 2013 Worldwide Developer's Conference to kick off Monday's keynote address. He started off by thanking developers for helping the iOS App Store reach its 50 billionth download this year. "That's a lot of zeroes!" Cook said. To demonstrate why iOS app developers are ahead of the curve, Cook invited Boris Sofman, CEO of app development company Anki, onstage to show off his company's latest iOS game. 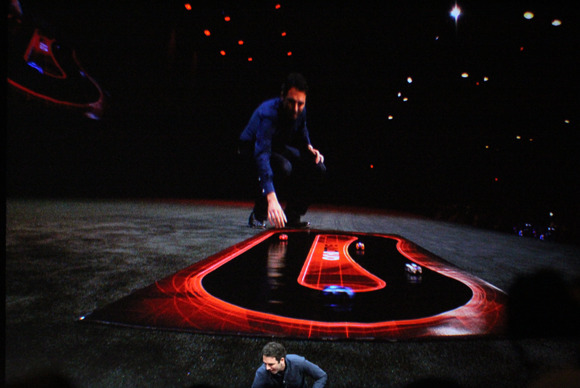 Anki Drive lets users control real toy cars on a racetrack using an iOS device. 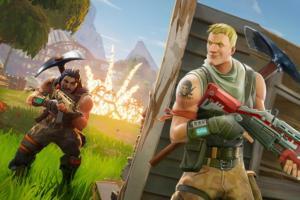 The cars can even fire virtual weapons to knock opponents out of the way. “I think these guys are going to be super-successful,” Cook said of Anki. Cook passed the baton to senior vice president of software engineering Craig Federighi, who stepped up to talk about the next version of OS X. Because the last nine releases of OS X have been given feline nicknames, spectators wondered if a cat would again be featured in the next version. “We do not want to be the first software in history to be delayed due to a dwindling supply of cats,” Federighi said, before he jokingly showed off a slide for OS X Sea Lion. 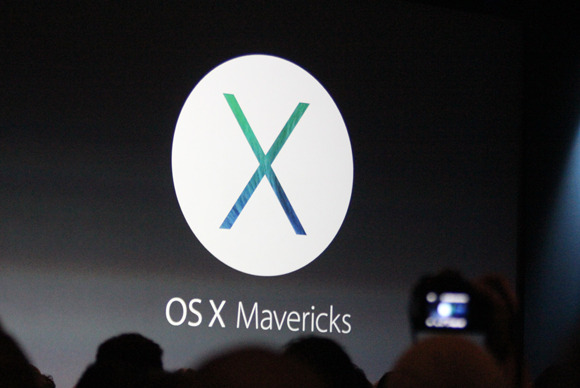 Federighi announced that the next installment of OS X is called Mavericks, and will launch in Fall 2013. According to Federighi, this new naming convention will carry Apple through the next ten years, and is based on inspiring places in California. 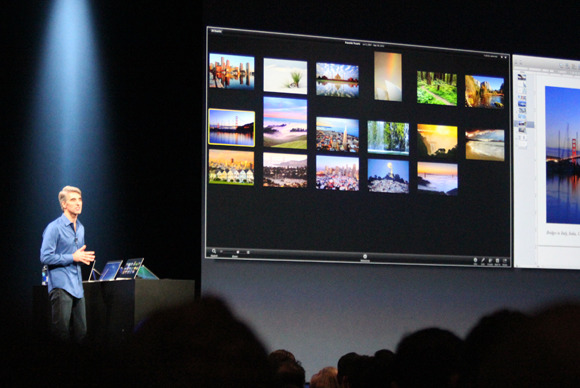 Here, Federighi demos how multiple displays will work in OS X Mavericks. 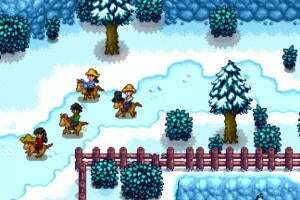 Users can access menus and summon your dock across multiple screens. Additionally, you can pan Spaces independently, and when you full-screen an app on one display, it doesn't mess with the other. 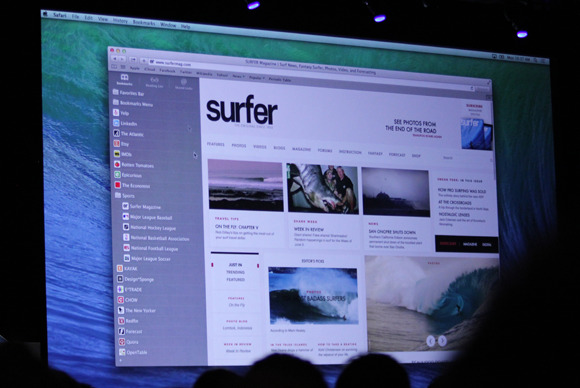 OS X Mavericks will ship with a new version of Safari, which got several redesigned features. Apple's native search tool features a new Bookmarks/Reading List sidebar with social feed integration, a simpler Top Sites layout, and energy saving features to help reserve your Mac's power supply. Plus, paired with Mavericks' new iCloud Keychain, Safari can securely store and sync account login information across devices. 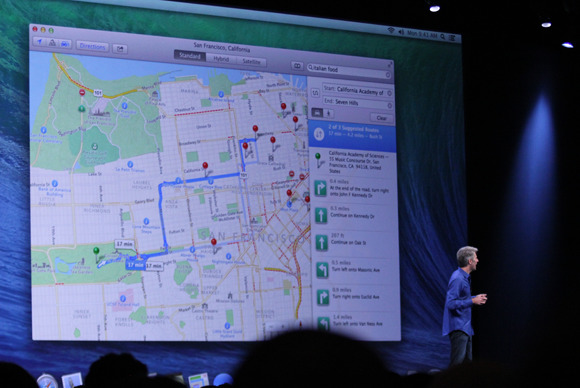 Mavericks brings a version of Apple Maps to Macs. Maps can show turn-by-turn directions for driving or walking, and can send this route to an iOS device with the click of a button. 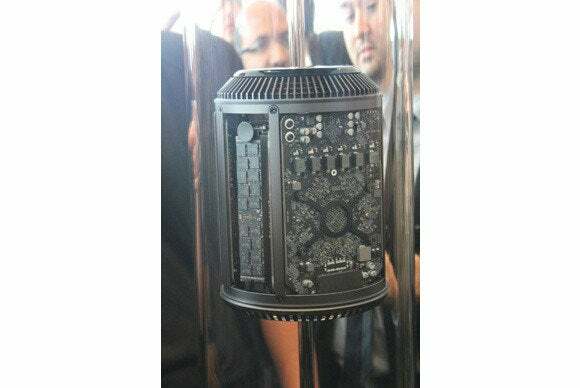 The Mac Pro doesn't have a price or a ship date yet, but WWDC attendees could get a closer look at one on display after the keynote. 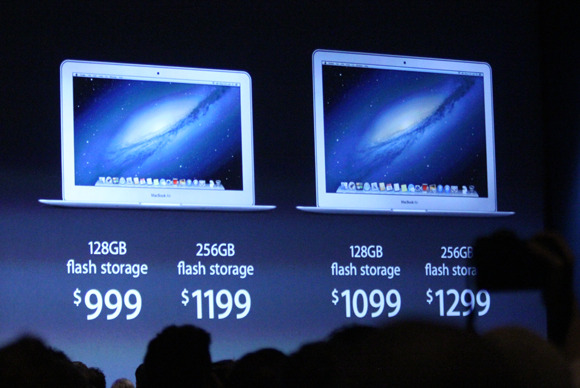 Schiller also announced a new line of MacBook Airs, which have a new fourth-generation Haswell ULT processor. This processor brings longer battery life, faster graphics performance, improved wireless networking, and greater energy efficiency to the Air line. The new MacBook Air is available now at the Apple Store. Tim Cook took a few moments to talk iWork, Apple’s collection of productivity apps that hasn’t seen an update on the Mac side since 2009. You’ll have to wait for a little longer for new versions of iWork for Mac and iOS, but when they arrive later this year, they’ll come with a third version: iWork for iCloud. 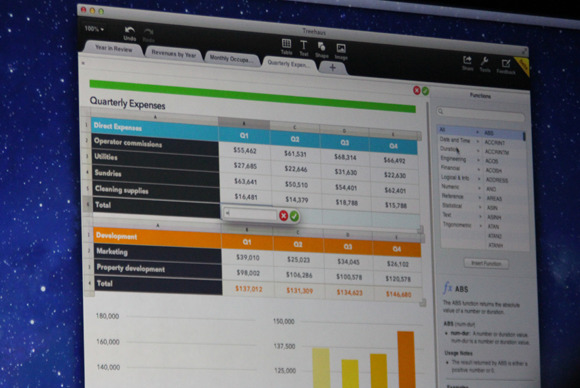 The completely Web-based version of iWork will allow users to view and edit documents right from a browser window. “It’s the biggest change to iOS since the introduction of iPhone," Cook said, as he showed off iOS 7's dramatically different design and new feature set. You'll notice a different font and color scheme, along with flat app icons and a different dock. iOS 7 sheds six-year-old interface elements, and replaces them with a cleaner, more modern aesthetic. From top to bottom, the OS that powers the iPhone, iPad, and iPod touch has been renovated for both looks and usability. 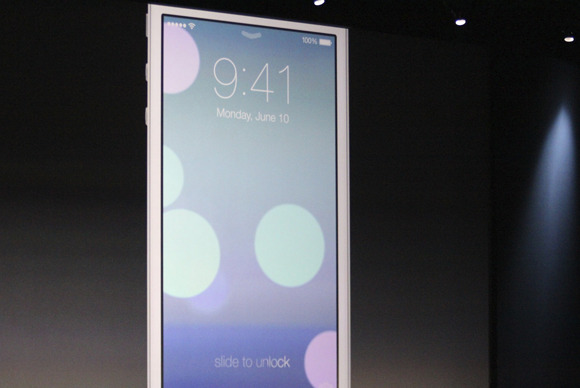 Here, you can see iOS 7's stripped-down lock screen. 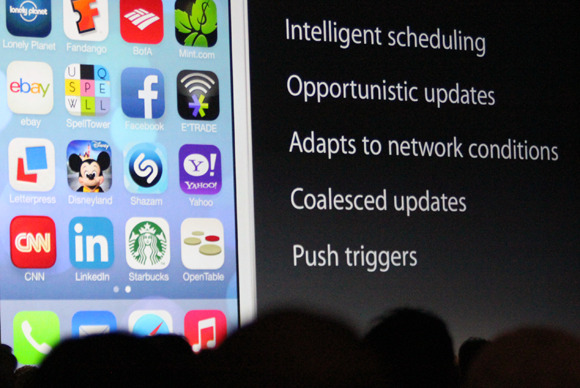 iOS 7 has big updates in store for Apple's stock iOS apps when it launches this fall. 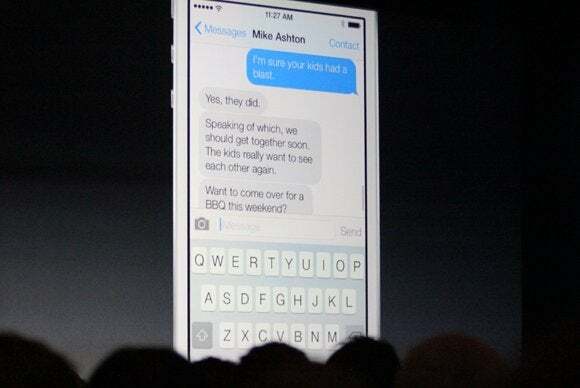 One app with a new look is Messages, which has flatter speech bubbles and a slightly different keyboard. iOS 7 also comes with a new way to discover music: iTunes Radio. 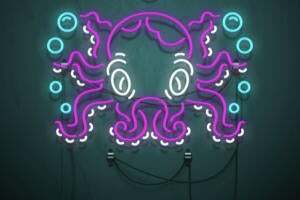 Much like Pandora, users can create stations based around songs, artists, or genres. Skip over songs you don't like, and place a star next to songs you do. A really handy feature of iTunes Radio is that it keeps track of every song you've listened to. 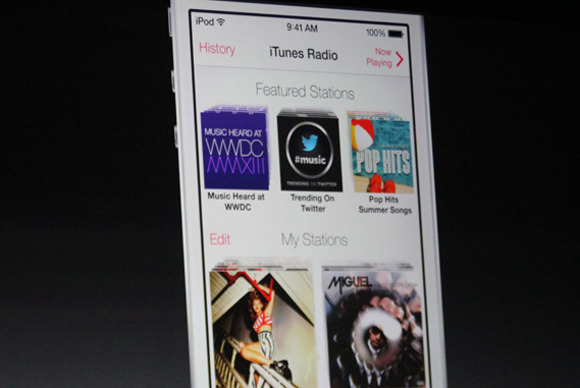 iTunes Radio is built right into Apple's Music app. 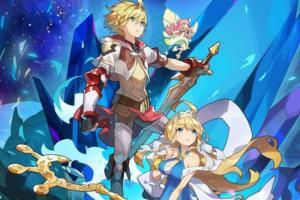 It's free with ads for all users, and iTunes Match subscribers will enjoy an ad-free experience. 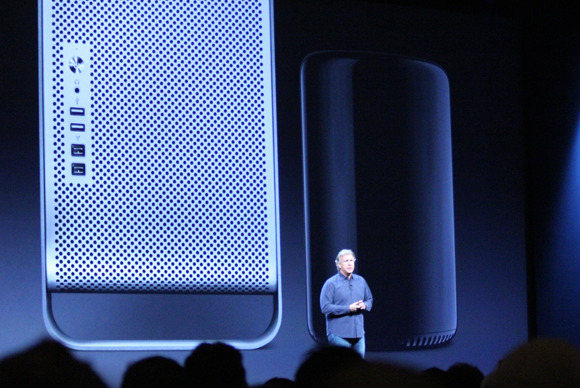 Tim Cook took the stage one last time to recap every product unveiled during the two-hour keynote. "We are incredibly proud of all these products. 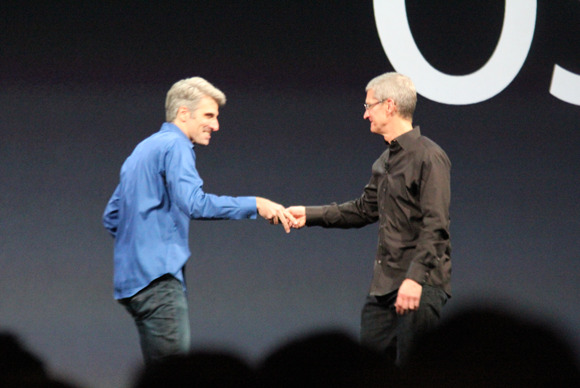 They're great examples of what Apple does best," he said.